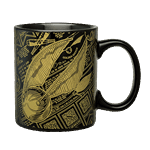 Our first cup of coffee can seem very elusive in the morning. So far out of reach, but mostly just because we don't have our coffee maker on our night stand. (Because then we'd never have a reason to get out of bed.) With glazed eyes and a thousand-yard stare we trudge towards the kitchen to snag that elusive cup of joe. It might as well have been a snitch - that's how much a challenge it is in the morning. 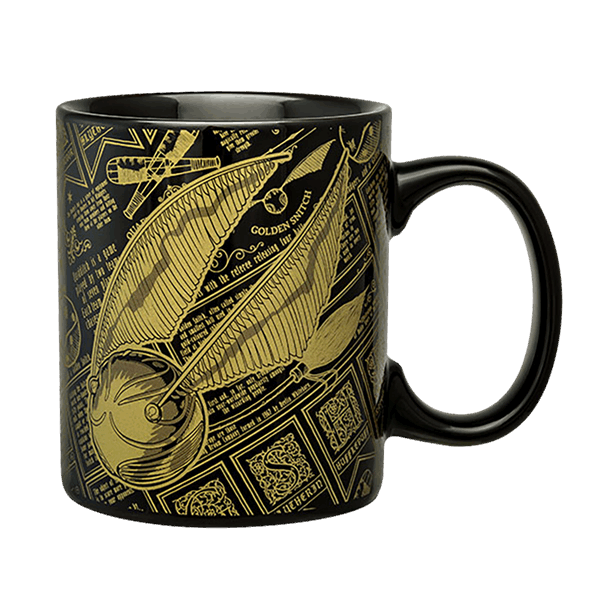 Snag your elusive beverage of choice in the Golden Snitch Mug. Luckily you aren't required zip around on brooms in order to brew your cup of coffee in the morning, but we certainly won't stop you if that's the decision you make.